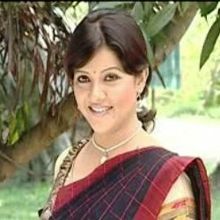 Gitabalee Rajkumari is beautiful actress in in Assamese film industry. She has acted in Assamese film like Hiya Diya Niya, Kokadeutar Gharjowai, Koina mur dhunia, Tyag, Hitlist etc. She also acted in VCD films like Ghar Sanghar and others. Why Book Geetawali Rajkumari Through ArtiseBooking?